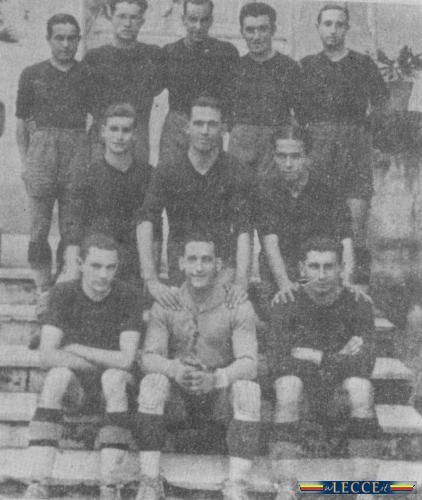 Societá Studio e Divertimento (“Society for Sports and Entertainment”), a multi-sport club known for their black and white uniforms, were formed in 1904. It wasn’t until 1908 that they opened their football section Societa Sportiva Robur, the club we now know as A.C. Siena. Siena, like many other European clubs, have a number of teams playing different sports, and so the football section have retained the nickname Robur (“strength”) to differentiate between Siena’s two basketball teams (Mens Sana and Virtus). Siena didn’t officially become a Serie A team until 2003, but their top flight history stretches as far back as 1945. Though Torino’s Scudetto remains official, statistics from the 1945-46 “Serie A” season have been discarded. This is due to the competition’s composition. In the midst of the Second World War several Italian teams were understandably unable to fulfil their calcio obligations. Because so many teams had to withdraw, the competition officially became “Serie A-B,” with several southern Serie B teams (including Siena) filling the gaps left by the withdrawn Serie A sides. Siena won just twice from twenty games and finished 10th out of 11 teams, but that was probably to be expected given the elevated level of competition. The Robur went back to Serie B after this brief flirtation with top flight but only lasted two seasons before being relegated to Serie C for the 1948-49 season. The next few decades worth of Robur history are pretty unremarkable. They flip-flopped between Serie C/Serie C1 and Serie D for half a century and didn’t return to Serie B until 2000. This is where their fortunes start to improve dramatically. Siena finished 13th and 15th in their first two Serie B seasons before a massive upturn saw them win the league in 2002-03. Manager Giuseppe Papadopolu led a squad featuring the likes of current Roma winger Rodrigo Taddei into Serie A for the first time in the Robur’s history, and Siena finished a credible 13th. Several seasons bottom-half finishes and relegation battles followed. The Robur never finished above 13th in seven seasons before a 19th-place finished in 2009-10 saw them relegated. As unspectacular is this record looks, staying in Serie A for such a long period was a huge achievement. The vast majority of Siena’s history has seen the club competing below Italian football’s second tier, and the 2000-01 seasons was the first time they’d been above Serie C1 in over 50 years. That they were able to maintain a lengthy Serie A run after years in the wilderness is very impressive. Former Juventus midfielder Antonio Conte joined as manager for Siena’s first season back in Serie B. Conte was coming off a disastrous spell as Atalanta manager the year before, but he’d achieved Serie A promotion with Bari in 2008-09 and was charged with repeating the feat with the Robur. Conte enjoyed a productive season with Siena: the Robur were a constant threat to Atalanta’s title charge and a second-place finish saw them promoted. Such was the strength of Conte’s contribution that he was offered (and accepted) the Juventus job at the end of the season. 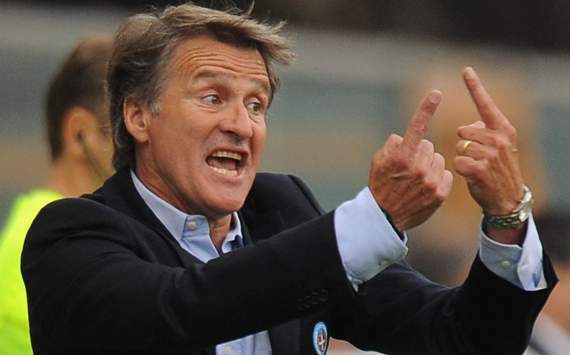 Current Siena manager Giuseppe Sannino isn’t as big a name as Conte but he’s a lower league veteran. This is the first time Sannino has ever managed in Serie B, but his record with Varese (his previous club) is incredible. 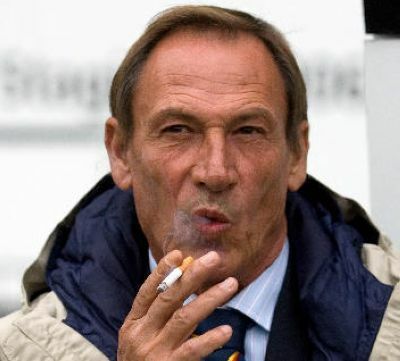 Sannino performed minor miracles in guiding the Leopardi to two successive promotions and a 4th-place Serie B finish in his three years in-charge, and the Robur will be hoping his obvious skills can guide them to Serie A safety. I’m not going to talk about the season ahead too much as I’ve already covered this in my Serie A Weekly article. I will, however, be taking a look summer signing Gaetano D’Agostino later in the week and I hope to be able to find out a little bit more about the 1945-46 Serie A-B season too.